Wise Women Who Stand Out From The Crowd. 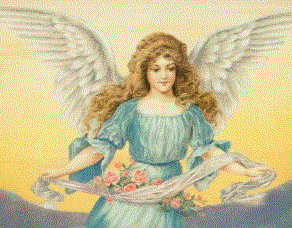 As I was reviewing my spiritual journey for this blog my mind went to thinking about one of the wisest women I have ever met, a dear friend who is now one of my most reliable and much loved guides. Carrie Ann St Clair was an international medium who taught development classes, did spiritual healing, gave lectures, had her own church at Tweed Heads, carried out exorcisms and LOVED ALL THINGS PINK! It was Carrie who finally gave me the push ( a big one) to become a medium. My first and last public readings took place at her church. Our friendship was born out of the colour pink(the colour of love). She had a large hot pink swirl of it on the side of her car, on my commenting on it one Sunday after church she said “My teacher loved pink and so do I” I said “Your teacher must have been Mrs Begg!” Carrie gasped. I had known Mrs Begg from childhood, she always wore long, floating evening dresses and they were always, you guessed it PINK. Not a wishy washy pink, a vibrant hot pink. When my grandmother and I visited her home in Darlinghurst, Sydney even her kitchen was painted hot pink. A wonderful medium who was not only gifted but also very wise, she had to be. In the early 1950s the Spiritual Church was viewed with even greater suspision than it is today. Policemen in plain clothes often attended in the hope of laying fraud charges and yes there was as now some fakes but they were quickly exposed. Real psychics are easy to recognise from the detail of the messages they give, they go way beyond the banal generalities used by fakes and it is hard to imagine how anyone can be fooled. Both Carrie Ann and Mrs Begg were old style clairvoyants who took to the platform out of a calling to serve their fellow man. Both had churches that upheld the “Seven Principles of Spiritualism”. Neither became rich or famous, although Carrie Ann did work (unpaid) for Scotland Yard, as well as for the police here and in New Zealand, she even went to America and had her psychic skills tested to obtain her M.D.P.P.M.S. a degree thatallowed Scotland yard to use her services. I guess it would be hard for any policeman to be taken seriously if he said he was consulting with a clairvoyant on his case and so Carrie went to all the trouble of getting a degree, nothing was too much trouble for her. Carrie Ann was always immaculately dressed and she had movie star like, golden blond hair that was usually piled high in a profusion of curles. She shone, always standing out from the crowd despite her tiny height but what made her shine most was the wonderful advice and support she gave others. In a world where so many try to hide their light and talents, she gave her all no matter the personal cost. The last years of her life saw her battling cancer, not that many knew because no matter how bad she felt she said “Oh well, the Lord will support me”, put on her bling and off she went to conduct her service. Carrie Ann had style, class and wisdom. She always thought of others and she brought love (PINK) to all she met. This picture is perfect, an owl the symbol of wise femine energy, and wearing it’s finest feathers. Picture is from 2012 diary published by Pomegranate Communications. 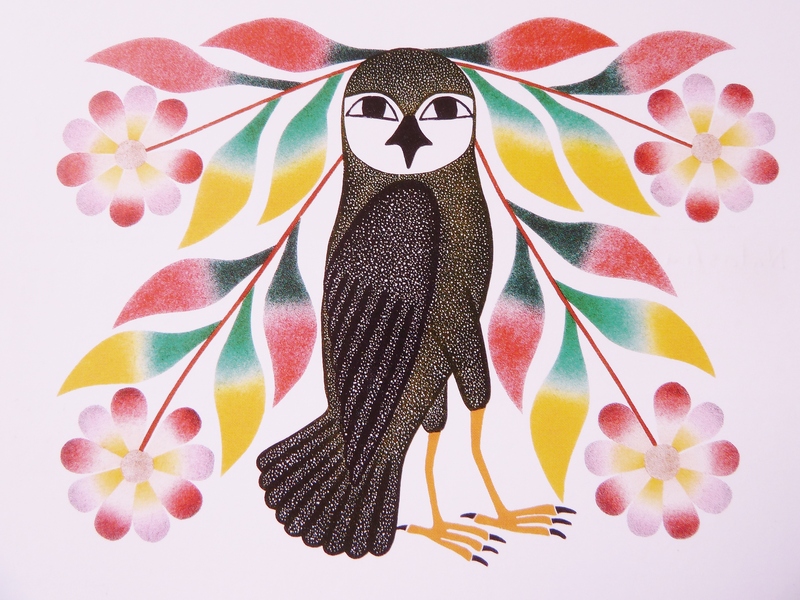 Inc which features Cape Dorset Inuit Art. They have other paper gifts for more info.contact www.pomegranate.com. “But we had hoped…and what is more, it is the third day…” LUKE. 24:21. In Luke 24 we meet two of Jesus’ apostles on the road to Emmaus talking dejectedly about how their hopes and expectations had not been met. That same day the women had told the apostles of their strange experience of finding the tomb of Jesus empty, of them being told that Jesus was alive and to remember what Jesus had told them about what would happen to him at Galilee they dismissed this as nonsense. They “knew” what had happened. Jesus was dead and all their hopes and dreams were shattered. As they walked Jesus joined them asking what they were debating but they didn’t “see him”. They didn’t recognize him. Why? Like all of us they were caught up in their own reality and Jesus being there just didn’t fit in. They were living their own illusion. Dejection springs from one of two sources- I have either satisfied a lust or I have not. Lust means – I must have it and at once. When we lust for anything our focus narrows to what we want and we perceive little outside of our goal. If we succeed in attaining what we want and find, as we invariably do, that it doesn’t really satisfy us, we search for something else to lust for and so the wheel of suffering continues. If we don’t get what we desire we demand an answer from God. We insist that God answers our prayer by granting our hearts’ desire, if he doesn’t we get dejected and blame God for our troubles. If we don’t believe in God or prayer we find someone else to blame as we wallow in our dejection. Whenever the insistence is on the point that God answers prayer, we are off the track. The meaning of prayer is that we get hold of God, we lay our burdens, hopes whatever at his feet and leave them their. WE then move on, not seeking signs or visions from heaven but focusing on the commonplace and the people around us. This is where we will find God and his most amazing revelations. We will move out of our dejection if we do the duty that lies nearest and change our focus from our desires to living fully in each precious moment. Prayer or meditation brings a closeness of God (or the divine spirit for those who are put off by the name God) that heightens our awareness of the beauty surrounding us. Our view broadens, allowing us the ability to see that the sun is still shinning, that we had merely put a cloud of dejection between it and us shutting out its light and warmth. If the apostles couldn’t see a newly risen, radiant Jesus, I wonder what I am missing seeing today. Enjoy what is don’t miss it! and accepting hardship as a pathway to peace. will make all things right, if I surrender to Your will. May all beings be free of suffering and the cause of suffering. May all beings not be separated from the bliss that is free of suffering. May all beings be free to live in peace and harmony.